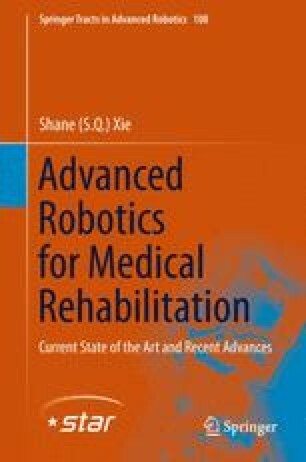 A comprehensive literature review on rehabilitation robots is carried out to identify the key issues. The main design requirements and development complications are identified and the various approaches used in past robots are reviewed. It begins with a survey of existing human rehabilitation devices designed for use in human assistance and treatment. An overview of the kinematic and computational biomechanical models of the human limb is also provided. This is followed by a review of the state of the art of interaction control strategies, with primary focus on its application in rehabilitation robots. Finally, the reviewed materials are assimilated in a discussion that highlights issues in rehabilitation robots that require further development, and are hence the subject of investigation for this research.